This Carlisle 4362707 Liberty set contains 24 clear, shatterproof martini glasses for poolside, resorts, or other outdoor environments where breakage is a concern. This stemware is made of polycarbonate for high impact resistance. It has a sturdy base for reducing spills. It has an 8-oz. capacity and is dishwasher-safe. 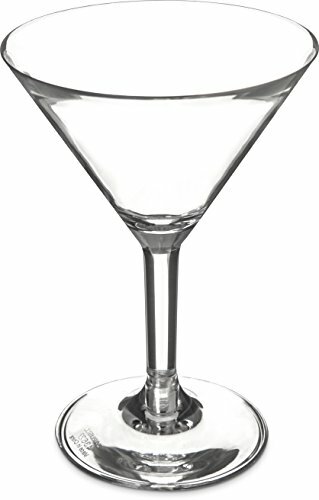 This martini glass has a 4.38 " top diameter, a 3.13" base diameter, and is 6.25" in height.